Monument Valley, a mind-bending puzzler about a lost, impossible fantasy world, arrived on iOS just over a month ago, and after that short exclusivity period, it’s finally landed on Android and with its growing popularity, it’s time to take a deeper dive in one of the most unusual puzzlers we've ever seen. Monument Valley tells the story of Ida, a princess in a strange, ever-changing world of impossible 3D-esque constructions, looking like something that came out of the mind of MC Escher. White and pure, Ida walks around this blocky, pixel-perfect world that you rotate and transform to reach an altar or a door that lead you from one fantastical environment to another. It’s a story as much as it is a puzzler, though, and that’s what makes Monument Valley a one-breath experience that you’d probably start and end at one run. From the first tutorial and after you meet your main character Ida, you feel almost right away on a mission to understand your raison d'etre in this bizarre world. The princess gets scarce cryptic hints speaking of the wisdom of a lost civilization that you’re a part of, and it’s a quest that you’d identify with on an almost subconscious level. We should also say a couple of words about the music, or rather the ambient background that does an excellent job of cutting your connection to the outside world without drawing too much attention out of the game world of Monument Valley. And it all somehow blends together well with the pastel colors of the surreal world around you. The whole environment of Monument Valley seems to be inspired by the desolate world of ancient arabs where mathematics and science thrived. As you complete each level, you discover a new geometrical form, recovering that forgotten wisdom piece by piece. It’s an achievement on its own that all throughout the game you never see any tips to explicitly tell you how to complete a puzzle. Monument Valley’s conundrums are never too challenging because of this intuitive simplicity that they are built upon. Moreover, each of the puzzles is just so unique that you’d play through just to see how each one transforms in its unique way. 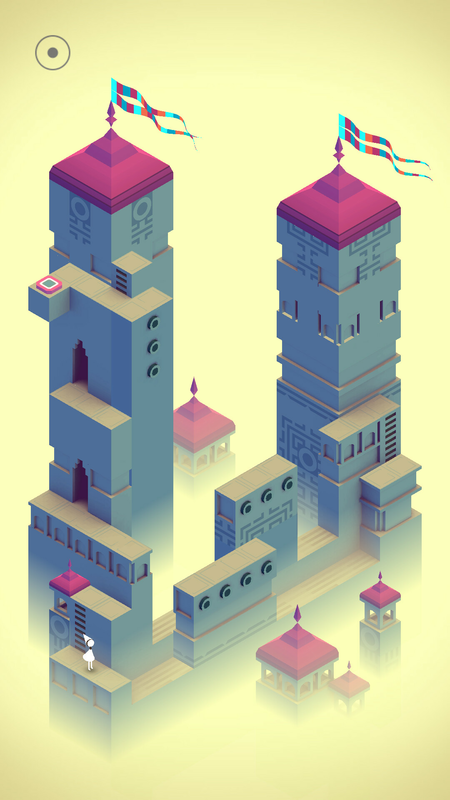 We can applaud the London studio ‘ustwo’ that developed the game, as Monument Valley never gets repetitive or boring. Just when you think you’ve got a hang of how to quickly transform the world and complete a level, a new element gets introduced, or the world changes completely. And that’s probably what makes the game so alluring - it puts you in a state of near constant surprise, that you want to see more and more of. 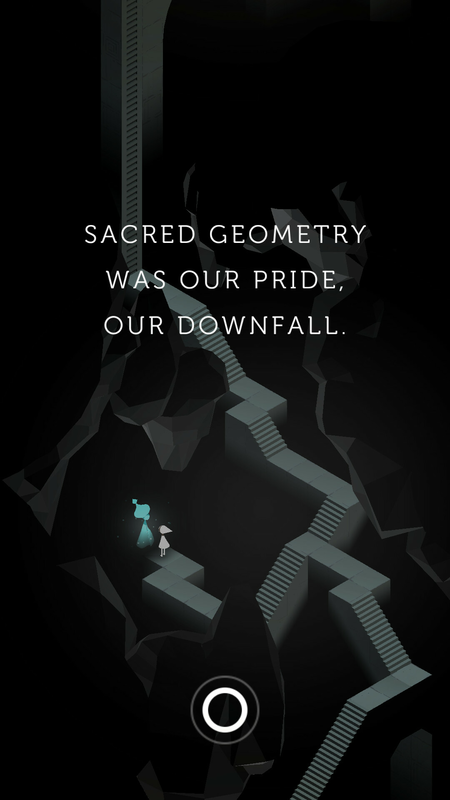 This makes for a truly entertaining gameplay, but as all good things, Monument Valley ends too soon. An hour and a half in this enchanting valley flew by in what seemed like an instant of real time, leaving us wishing for more. Is that a downside? We were definitely left high and dry at the end, but at the same time, we would not go so far as to say that the larger-than-average price of the game is not justified. All in all, our journey through the dreamy world of Monument Valley was a memorable experience. We can only imagine how much richer and crazier the impossible world of this game could be with things like landscape support, and while we’re already waiting for a sequel, we can give our heart-felt recommendation right away. Bought it yesterday after reading about it and finished it in one sitting. It was definitely fun but I'm expecting more levels later on, right now I don't think the game is worth the $4 I paid for it. The game is fantastic, but I bought it yesterday evening and finished it this morning, too short. But I would recommend it to anyone, if you're willing to pay.